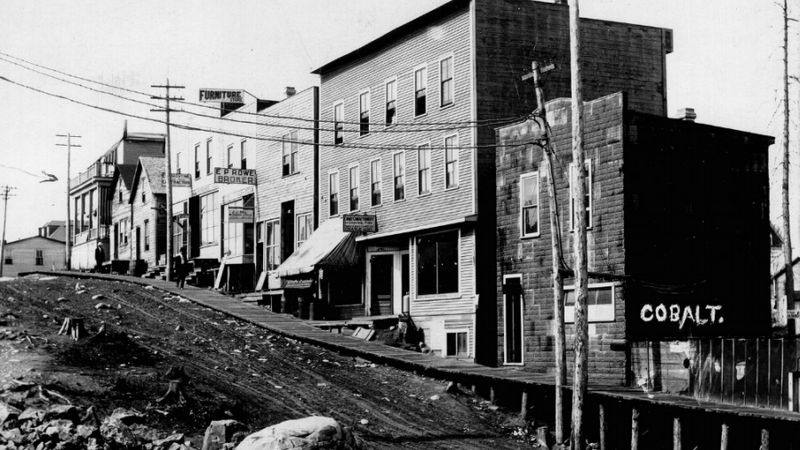 Creative Commons image of Cobalt Street in Northern Ontario. Canadian-gold junior Brixton Metals intends to create a standalone cobalt company from its Langis and Hudson projects. Brixton intends to maintain exposure to the cobalt assets through a retained equity interest in the spin-out company. The CEO of Brixton, Gary Thompson, hopes to unlock some of the company's value. “Given the recent activity in the Cobalt market with higher prices and strong demand from the electrical vehicle market, we think that Brixton and its shareholders would benefit from a spin-out of its wholly owned cobalt-silver asset," says Thomson in a news release. Langis and Hudson Bay are past producing mines located 500km north from Toronto, Ontario, Canada. The projects are brownfields exploration staged without defined resources. The high-grade cobalt-silver mineralization occurs as steeply-moderately and in some cases shallow dipping veins within any of the three main rock types: Archean volcanics, Coleman Member sediments and Nipissing diabase. In addition, broad low-grade Co-Ni-Ag mineralization occurs as disseminations within the Archean volcanics. The Langis mine produced 10.4Moz of silver and 358,340 pounds of cobalt and the Hudson Bay mine produced 6.4 Moz of silver and 185,570 pounds of cobalt. Historically, the Cobalt Camp produced 50M pounds of cobalt as a by-product of 500M ounces of silver production. Brixton wholly owns four highly prospective exploration projects, the Thorn gold-silver and the Atlin gold projects located in NWBC, the Langis-Hudson Bay cobalt-silver projects in Ontario and the Hog Heaven silver-gold-copper project in NW Montana, USA. Creative Commons image of Northern Ontario vintage postcard featuring Cobalt Street. Photo uploaded by pkdon50. Written with material from Brixton Metals news release.